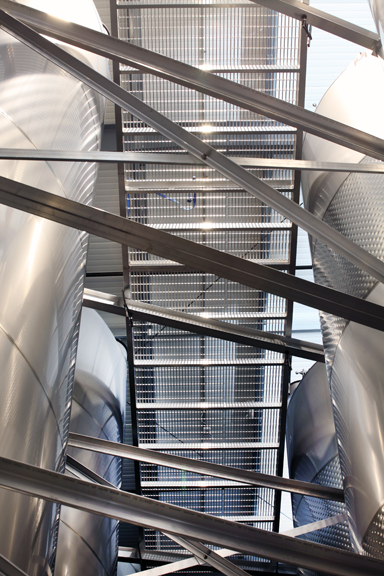 Aluminum Catwalks For Wineries Designed and Fabricated By Westec Tank, Healdsburg CA. 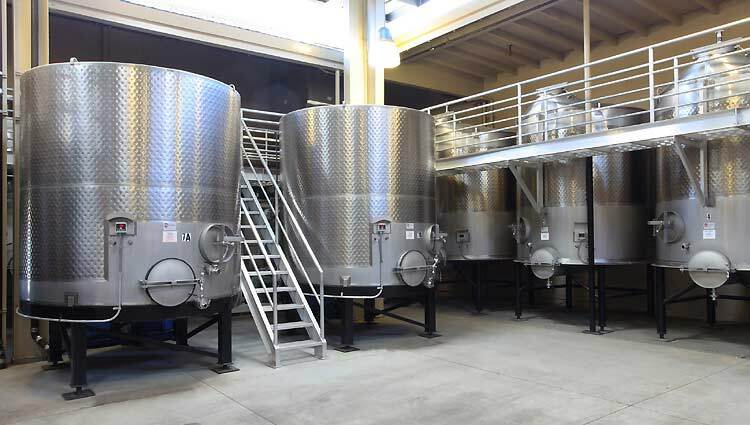 We Build On-Site At Your Winery Or At Our Shop. Call Today For More Information. Westec custom designs and builds catwalks and stairways integrated with new or existing tanks. Our design and layout guidance will help you get the best value for your tanks and integrated catwalks. As the wine industry evolves, so do regulations and code requirements. 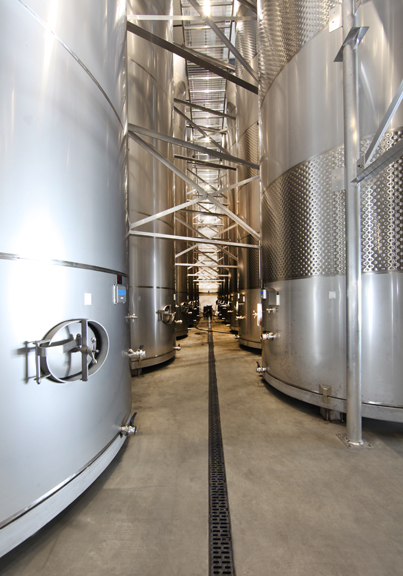 The safety of the workers measuring the volume of the wine and doing adds at the top of the tank, and the safety of the product during earthquakes are crucial factors in winery design. As part of the planning process, Westec drawings are reviewed by engineers and shop drawings are stamped to verify weight load support and code compliance. 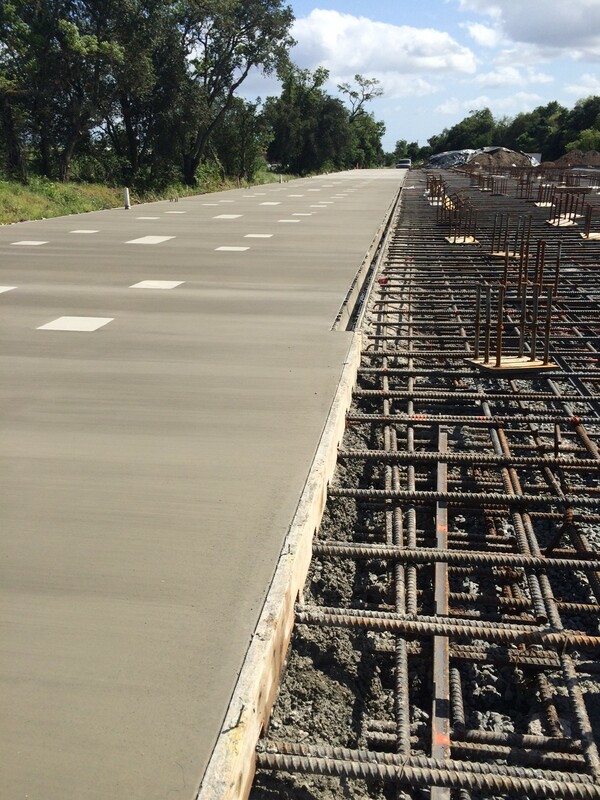 We make sure they comply with city, county and OSHA requirements as well as meeting the goals of the owners and architects. When doing a project of this size, it's everything leading up the the catwalk installation that's important. We work closely with the owners to develop a coordinated workflow and installation plan that includes electrical, plumbing and refrigeration contractors. We don't leave it to someone else to put together a common, mutual design. Westec understands that what we do affects others and the outcome of the project itself -- that's what makes us stand out. Joe Belli, Jim Belli and Mark McDowell know that success of your business depends on us doing our job right and on time -- every time. At Westec, our reputation for honest, reliable, friendly service was built by meeting and exceeding expectations year after year. The aluminum catwalk at Draxton Wines is 35 feet in the air to provide safe top access to 123 wine tanks. The angled supports are designed to allow 6' wide floor aisles below for safe and efficient work. 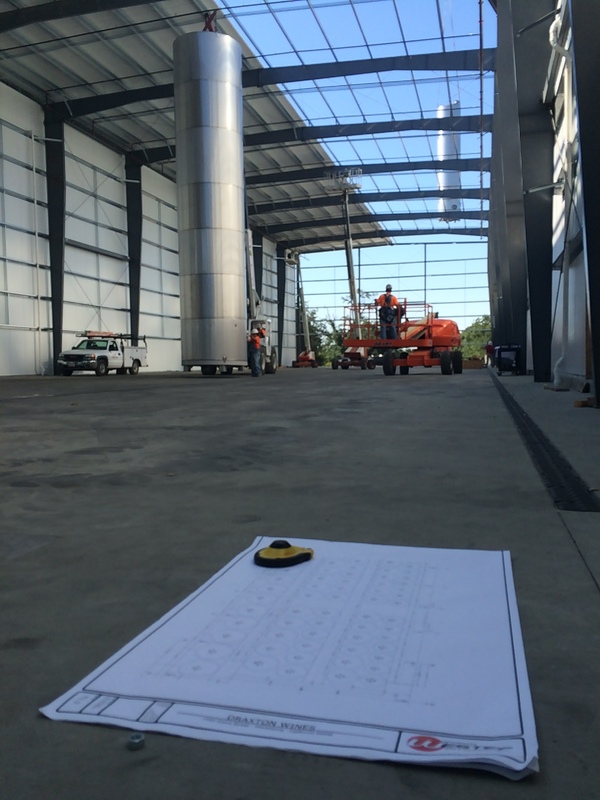 The Westec logo is visible on the plans for Draxton Wines as a second wine tank is delivered by crane in the background. The aisle is 6' wide at Draxton Wines because the aluminum catwalk support column on the right is placed as far back as possible. This offset requires custom engineering for the horizontal and diagonal supports above which are not at the typical 90° angles. Westec embedded in concrete the square stainless steel plates seen above left. The tanks at Draxton Wines are now welded to the plates for earthquake safety.